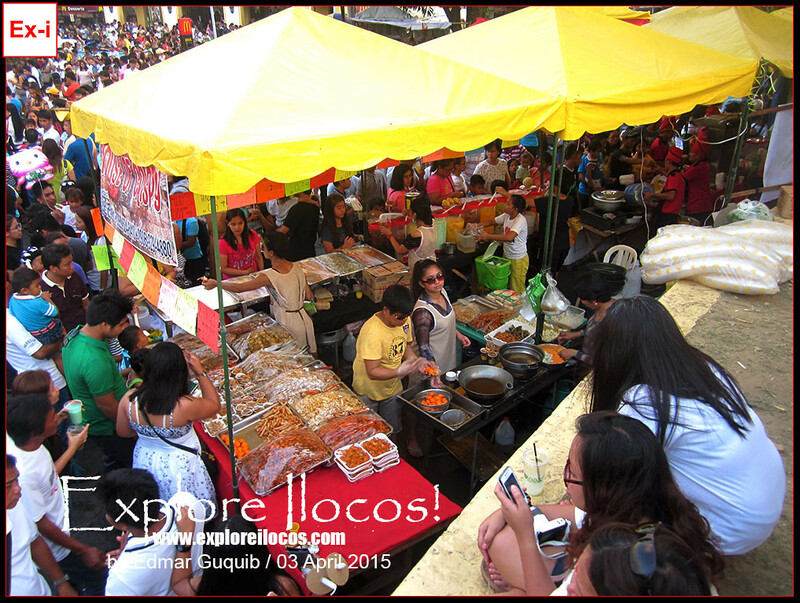 VIGAN CITY ▬ Vigan is home to rich culture. No doubt about that. 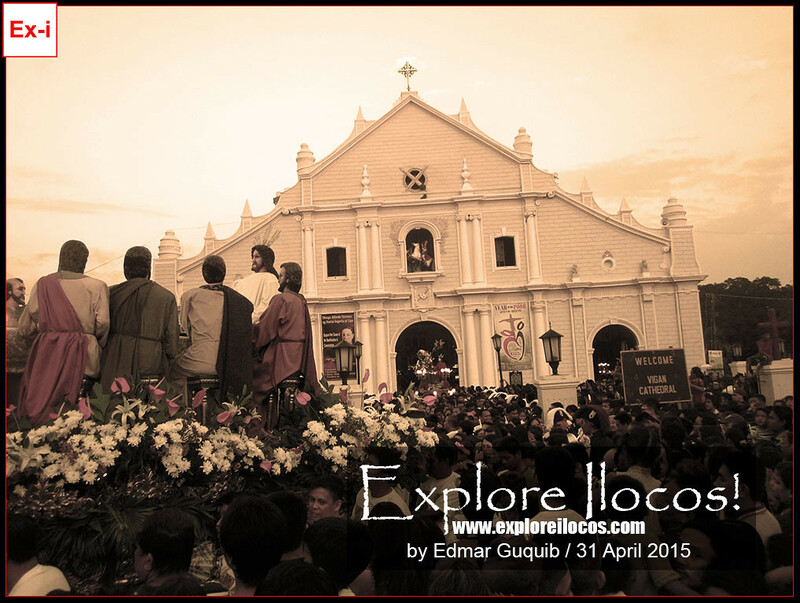 On a Good Friday, I made it sure to cover the procession this time. 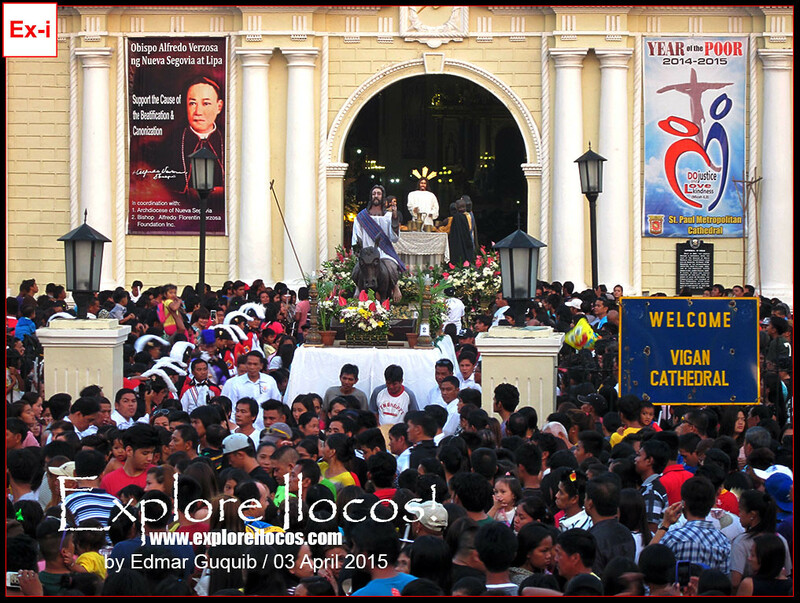 Vigan is saturated with Roman Catholic followers, a religion introduced by the Spaniards during the colonial period. 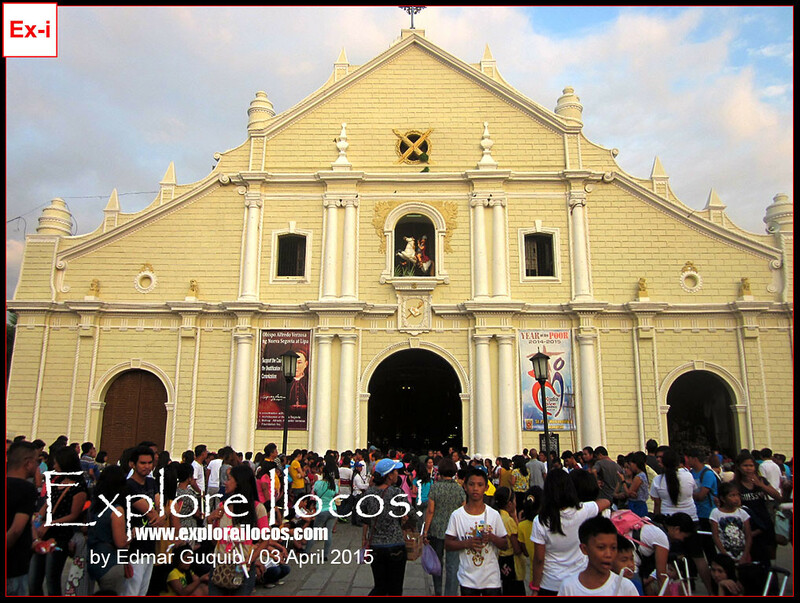 The Spaniards established the city as a religious center in the north. 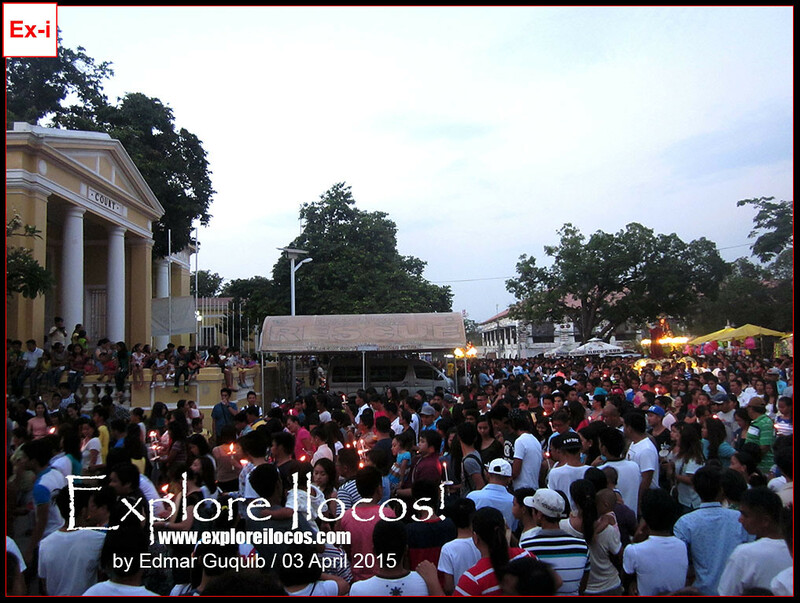 Thousands of people flock in Vigan every Good Friday making it the most crowded day in the year. 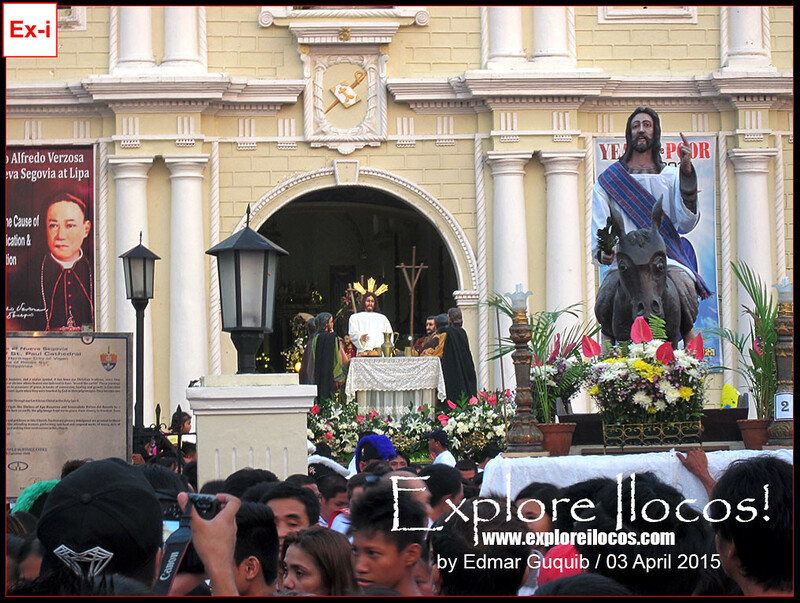 The Semana Santa procession (or pursisyon, as called locally) starts from the Vigan Cathedral. 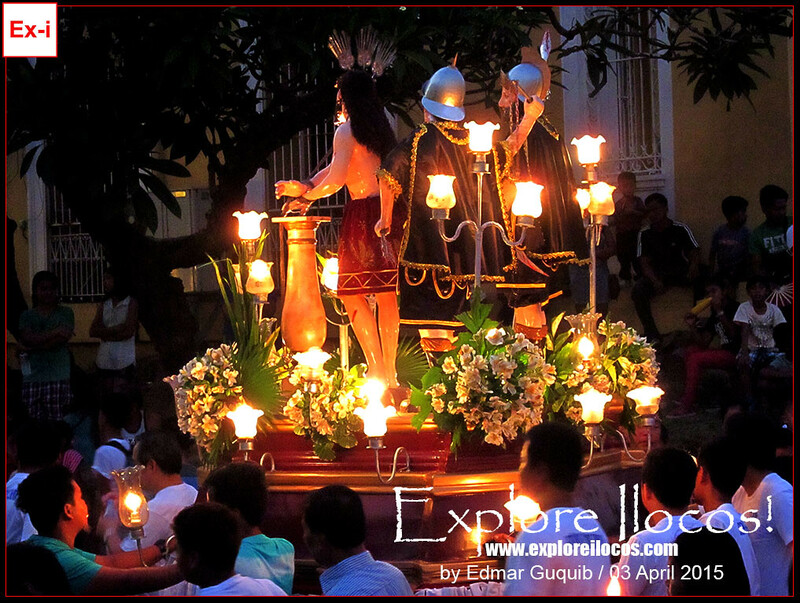 Carroza of the sculptured replica of saints make their rounds in the city poblacion. Disclaimer: I don't join processions like this but I usually document it so that people will become aware of the culture and practices of the places I am going. 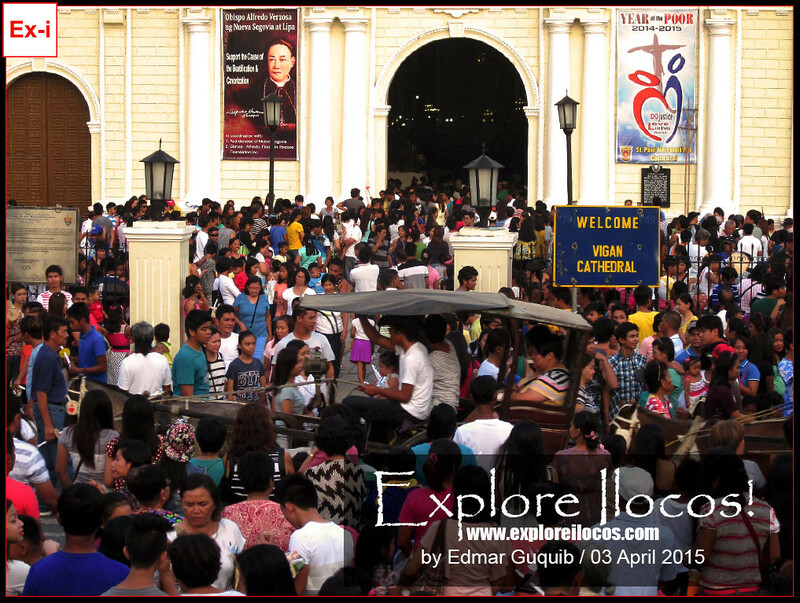 Let us virtually tour Vigan on a Good Friday in photos. 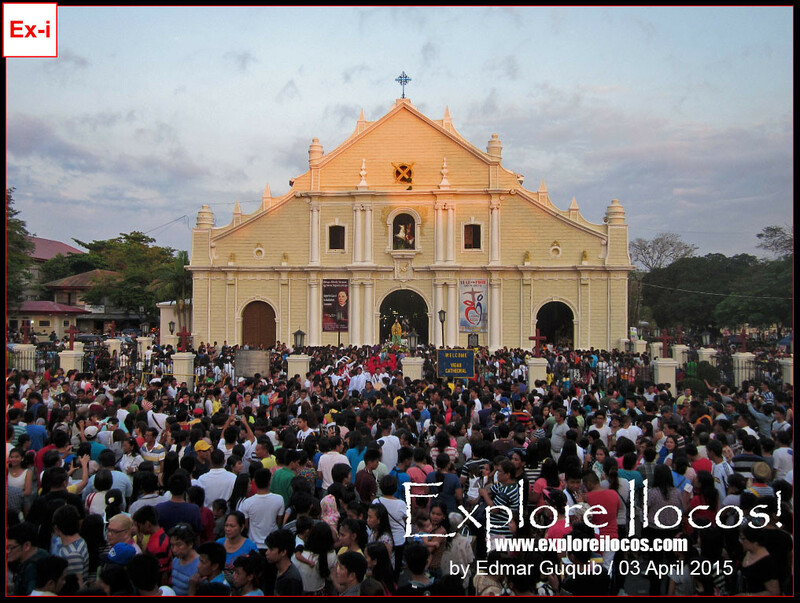 The pursisyon starts at 6 PM but a crowd of procession joiners (maki-pursisyon) wait for couple of hours before the start. 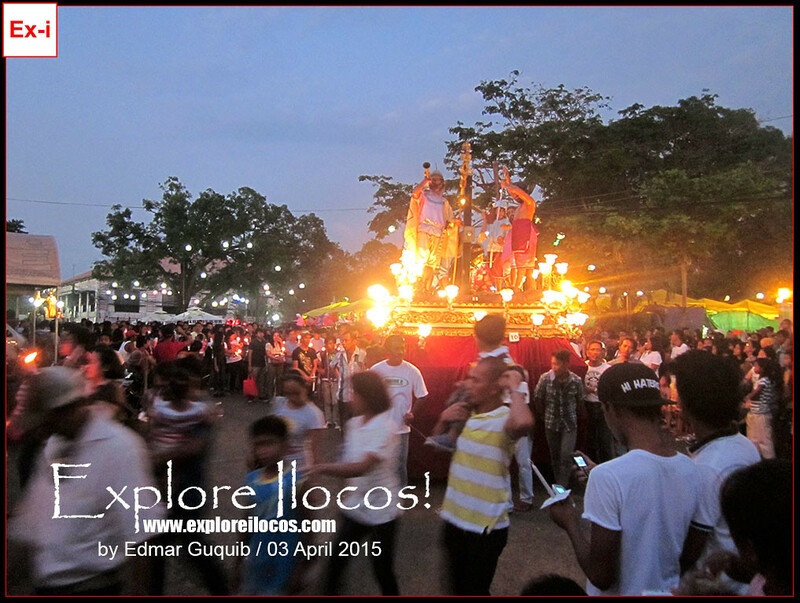 The first carroza was pulled (ginuyod) by young men dressed in red. 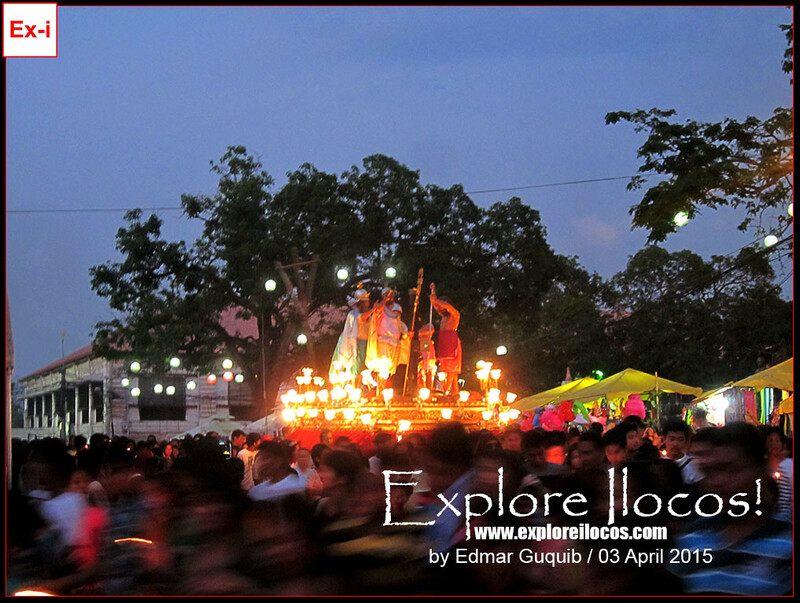 Usually, those who join the procession choose the carroza they want to follow. Some devotees help in pulling/pushing the carrozas. 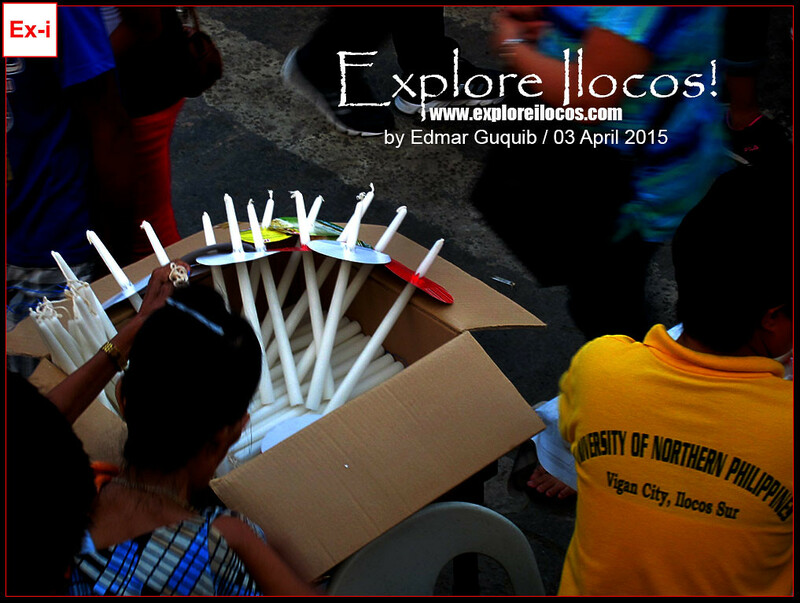 Those who voluntarily do the guyod are called makiguyod locally. It is a belief that they are closer to God or their sins will be forgiven if they will do such little sacrifice. 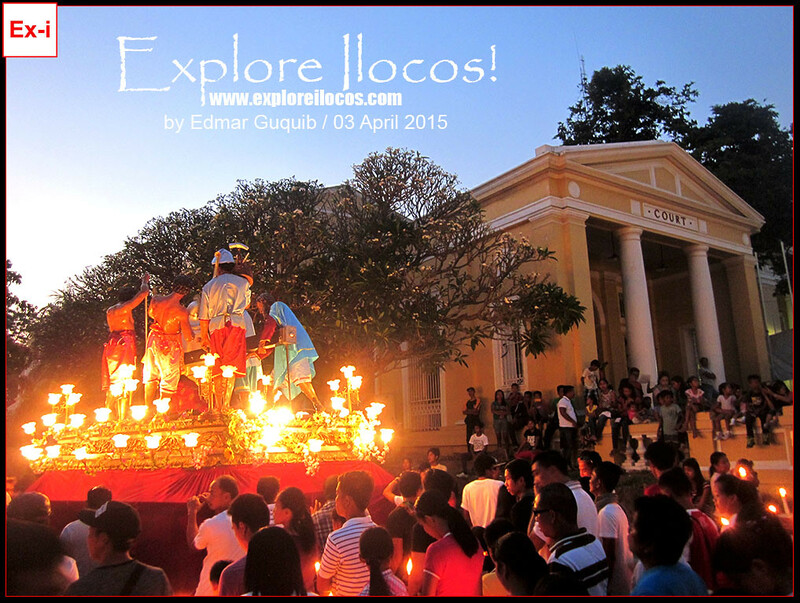 SOME DIDN'T JOIN THE PROCESSION. THEY OPTED TO WATCH IT. 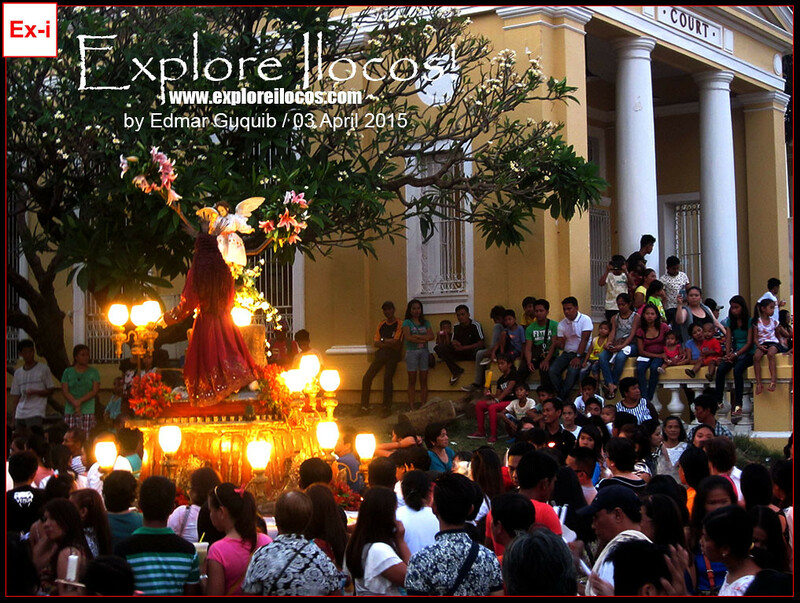 To those who haven't seen Vigan on a Good Friday, this is how it looks like. You need to get ready squeezing in the crowd. Be sure not to bring your valuables. 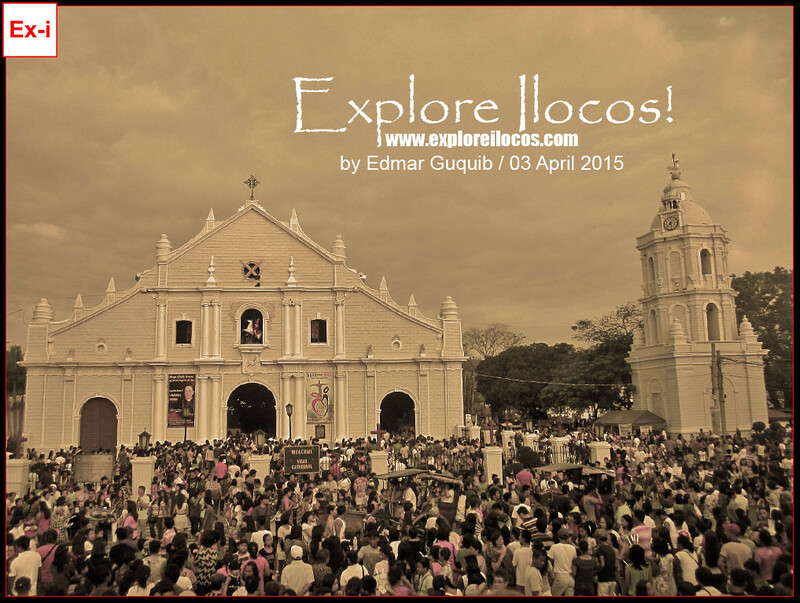 Although this is a religious activity, thieves and pickpockets still abound.